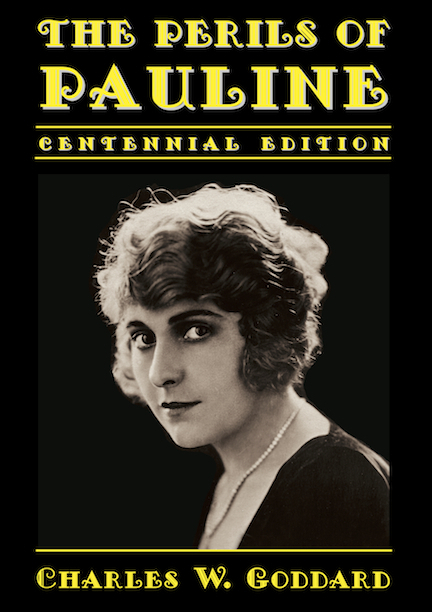 Recently I printed some extra copies of Distressed Damsels and Masked Marauders and The Perils of Pauline: Centennial Edition for a Pearl White birthday commemoration organized by the Fort Lee Film Commission. Unfortunately, circumstances arising at the last minute prevented me from attending the event (which, I’m told, packed the venue), and as a result I’m in an overstock situation on these two books. So for a limited time—a very limited time—I’m offering both books as a set for $40, shipping included, which represents a 20 percent discount. 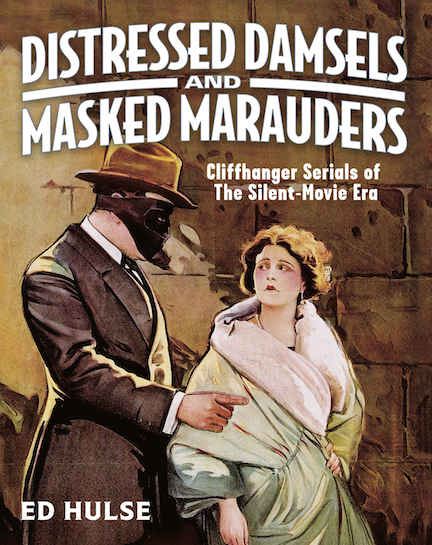 Distressed Damsels is the first book in my two-volume history of American movie serials of the silent-film era. The Perils of Pauline reprints the original 1914 novelization of the iconic chapter play, which made Pearl White an international star. The novel is preceded by my 5,000-word essay on the making of Pauline, a behind-the-scenes account every bit as interesting as the serial itself. This offer is good only for as long as it takes to liquidate the sets I have on hand . . . and I don’t imagine that will be very long. You can order your own set here.